The passionate colors of autumn always touch my soul deeply. 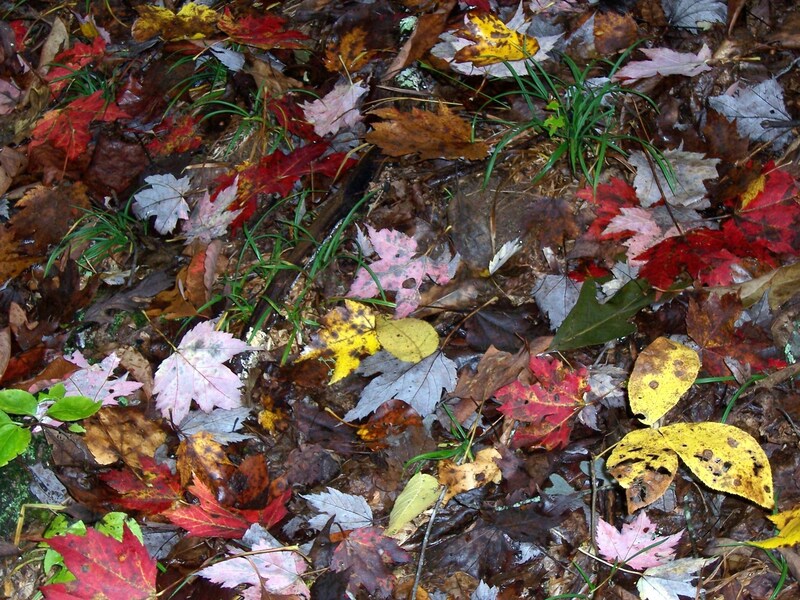 As we move toward the cold and darkness of winter, they joyfully distract us for awhile with their brilliant colors. They are part of the abundance of this harvest season when what we have planted comes to fruition. What have you planted in the last year that has come to fruition? Entrepreneurs are abundant where I live. People are not waiting to see what will happen with the economy. They are finding ways to follow their passions and support the lives they really want. Ironically, out of the losses created by a failing economy, creativity has blossomed. How we think about our lives largely determines how we experience them. If we have received our sense of worth from the money we make or the things we own, or the house we live in, it is difficult to feel worthy without them. We have to look deeper to find our true abundance. When we take away the façade, what lies under it? We need to know that we are all worthy, that we can love and be loved, that we have the strength to overcome adversity. We need to know that we are connected to Oneness, the loving Spirit of the Universe, and it is always there to guide and uplift us. The more we believe and affirm the good in our lives and in ourselves, the more we are able to manifest what we desire. We are the only ones who can create the persons we want to be. For the last year, I have been passionately committed to my writing. I created this blog and have completed a book I hope to publish soon. In order to do this, I have had to commit to putting this passion first in my life, to believe that it will bring abundance and joy, and that whatever I need to succeed will come to me. I have had faith that the inner guidance I receive is authentic. The joy I have felt as I pursued this path and the remarkable support that has appeared has convinced me I’m doing what I was meant to do. In order to pursue this passion, I have had to harvest only supportive and positive thoughts about what I’m doing and let the negative ones lie fallow. I remind myself daily that I have the wisdom to sort and choose only those thoughts and words that will give value to what I write. I have had to release any self-doubt the moment it arises or it will burrow into my consciousness like the voles that undermine my backyard. When a negative thought arises, I release the fear connected with it and affirm the positive aspect of the thought, thereby neutralizing its negative effect. I then luxuriate in the peace that follows, and then repeat the positive thought I want to be my guidance for the day. Feeling that we have the inner resources to solve the problems in our lives is a great gift. To reach that point, we must monitor our thoughts frequently. It may require us to meditate daily or read inspiring materials. It may involve avoiding negative people. It may require more time alone. Creating this inner abundance always results in a happier, more peaceful life. Even if the exteriors of life are challenging, we are better prepared to learn and grow from those challenges. And even in the midst of those challenges, we will be able to know “All is well,” in the deepest sense. When we plant an inner landscape with positive ideas, we will have an abundant harvest. This entry was posted in Inspirational Posts and tagged Abundance, Awakening to the Dance, Consciousness, Inner Strength, Oneness, Wholeness. Bookmark the permalink.